Blogging has been identified as one of the best ways to attract new customers. 57 percent of companies with a blog have acquired a customer from their blog, which means if you blog more, you'll get more customers. An infographic from Quicksprout shows that blogging highly affects consumer buying behavior even more than advertising. 81 percent of US consumers trust advice and information from blog and 61 percent of consumers have made a purchase based on a blog post. Blogging pays off with time. The posts that you create will never disappear from search engines. In fact, they will rank even better with time. Marketers who have prioritized blogging are 13x more likely to enjoy positive return-on-investment. So the big question is how to make sure your blogging efforts actually generates results? Blogging often times doesn't work for new bloggers because of poor execution. Follow these steps to make sure you can generate actual results. Your priority is to provide value for audience. Go out of your way to create exceptional content, or else you just become noise. Make sure you build an audience through social media and email list. Build consistent distribution channels. If you don't have an existing following, use the following resources: Industry forums/blog, Relevant Google+ Communities, Yahoo answers, Quora, LinkedIn Groups. 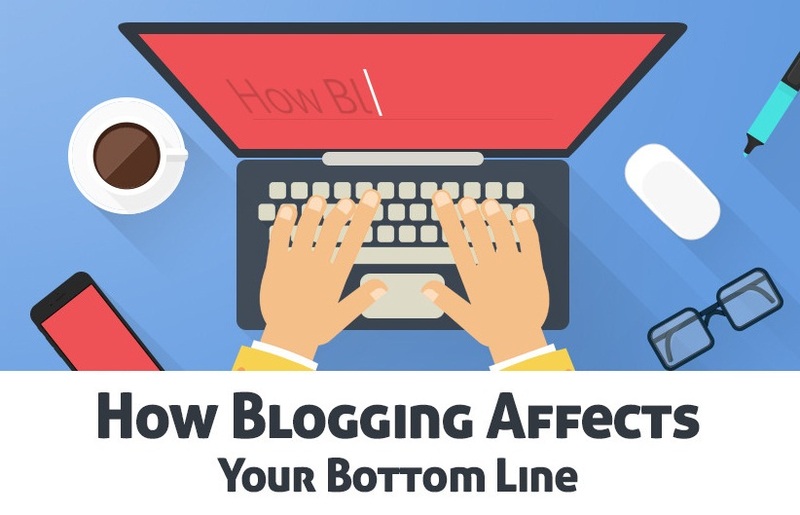 Take a peek at the infographic below for more tips and insights on how blogging affects your bottom line.